Moving into the UTV market, Hustler Turf debuted its Maximum Duty Vehicle (MDV) at 2016 GIE+EXPO. The MDV is available in a standard bed model or with LEVELIFT. The all-wheel drive MDV runs at a top speed of 37 mph and comes with a range of options and accessories available. 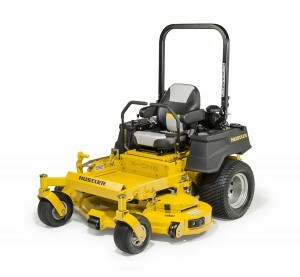 As well at the trade show, Hustler released a redesigned X-ONE zero-turn riding mower, featuring a larger fully-tubular frame, Parker unitized transmission, simplified deck lift system, increased fuel capacity and bolstered seat with internal suspension and rubber isolated seat mounts. The new X-ONE line-up also includes 72-inch deck option and is available with a Kawasaki FX or Kohler EFI engine.